Available in hardcover, paperback and ebook (audiobook coming soon). “Writing in Shirley Jackson’s precise, sharp, chilly prose, Greenhall delivers a slippery book that can’t be pinned down, all about spectral photography, little dead girls, snowbound small towns, and the disquieting proposition that maybe God is not civilized.” - Grady Hendrix, author of Paperbacks from Hell. When photographer Jonathan Brewster’s four-year-old daughter Joanne tells him about her new invisible friends, he doesn’t think too much about it. But then he sees them for himself: weird and uncanny images of the dead appearing in his photographs. The apparitions seem to have some connection to Childgrave, a remote village in upstate New York with a deadly secret dating back three centuries. Jonathan and Joanne feel themselves oddly drawn to Childgrave, but will they survive the horrors that await them there? 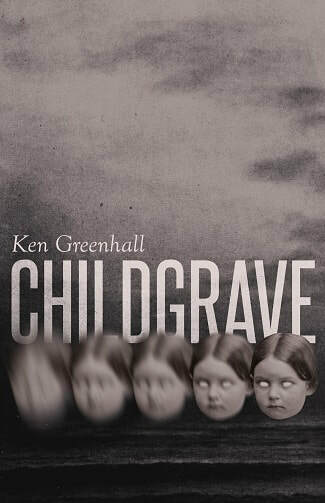 The third novel by Ken Greenhall (1928-2014), whose works are receiving renewed attention as neglected classics of modern horror, Childgrave (1982) is a slow-burn chiller that ranks among Greenhall’s best.